I am writing to express my profound disappointment at your decision to offer a one week internship at your Portas communication agency as an auction lot to the pupils of Westminster School. As a leading broadcaster and journalist in the field of retail and business, you will understand that an internship with your Portas agency gives a significant boost to the CV and the personal confidence of anyone lucky enough to undertake one. We live in a time when, for young people entering competitive fields of employment, internships are increasingly crucial in achieving success. You have gained considerable respect for your rise from a Saturday job at John Lewis to your position as a formidable businesswoman and respected thinker on retail businesses. To rise as you have done, from a position as a part-time shop assistant to the pinnacle of your profession, makes you a true exemplar of self-created success. As is well documented, you achieved your success entirely through your own volition, having lost both parents at a young age. This is why it is so disappointing that you would choose to bestow even a single internship on a young person on the basis of their parents’ ability to pay. The auction site, operated by Westminster School, accepts bids on internships at Portas and a host of other top-flight businesses. The school states that the primary reason for this is to raise funds for ‘its expanding Bursary Programme as well as cover the expense of the new facilities’. This is an utterly disingenuous basis for conducting the auction. Recipients of Westminster’s bursary scheme are very unlikely to have family wealth sufficient to bid for the Portas placement, so the auctions designed to raise money for poorer Westminster pupils still manage to disadvantage them in comparison to their well-heeled classmates. If anything, auctions such as this will reiterate to bursary pupils that though they attend Westminster through the grace and generosity of wealthy families, they will never quite attain the possibilities and privileges of those families and their offspring. All this is, of course, to say nothing about the effect of purchased privileges on ordinary state school pupils without family wealth or connections. Many young people, especially in the artistic and creative industries, toil in interminable unpaid internships to gain necessary experience. Still others are barred from certain professions forever because they cannot afford to work unpaid and gain the experience required. You did not create this trend, but by making work experience with Portas an auction lot, you perpetuate and promote the idea that working is a privilege which one might do unpaid, or for which one might even pay, rather than a right for which one ought always to be paid. Make no mistake, this auction was wrong. Even if it was conducted for the school’s ‘charitable’ purposes, it was wrong. Even if every other intern at Portas has acquired their place through merit alone, the act of auctioning off a place was morally wrong, and an insult to the very many ambitious and deserving young people who would have relished it. If you wish to use internships at Portas to promote charitable causes, I would like to draw your attention to a fantastic charity called the Social Mobility Foundation. The SMF provides prestigious internships and mentoring to high-achieving but low-income pupils. The connections and experiences they gain through the SMF enable them to more effectively compete with pupils such as those at Westminster, who have benefited from wealth, social connections and nepotism. I know that the SMF would be delighted to work with you to help bright and deserving pupils, and I urge you to get in touch. It’s not just about fairness. It’s also plain old business. Two of my poems, 'Brighton Pier' and 'Gloomy Sunday', have been published in Versions of the North, an anthology published by radical publishing house Five Leaves Press. 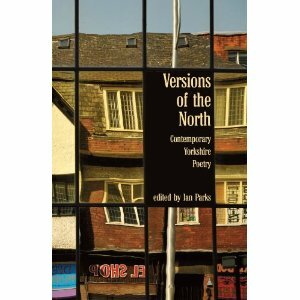 I was delighted and honoured to attend the Leeds launch and be published alongside eminent poets such as Ian Parks, Ian Duhig and Helen Mort. Shortlisted for the columnist competition on ideastap.com, February 2013. For the average person perusing their local high street, little is more traumatic than accidentally making eye contact with a crocodile-smiled clipboard wielder just ahead. As he or she strides amiably towards you as if they’d known you all your life, you feel a sudden desire to become one with the pavement. Tabloids have gifted us with the word ‘chugging’, a portmanteau of ‘charity’ and ‘mugging’, to encapsulate this socially awkward experience. Just as with the zombie apocalypse, we know the chuggers are coming for us with their shining eyes and uniform of cagoule and eerily white Converse, yet we are woefully unprepared when that day arrives. Whilst opinion polls show that up to 80% of interviewees were against the use of paid street fundraisers, chugging remains one of the most lucrative forms of charity fundraising, with an average return of £3 for the charity for every £1 spent on hiring chuggers. For all the people who rush past, mumble excuses into their socks, or even step in front of traffic to avoid chuggers, plenty of folks do stop. And of those, a fair few commit themselves to direct debits which run, on average, for 5 years. In a recession where charitable giving has fallen off a cliff, this long-term commitment is crucial to many charities’ survival. This is perhaps why there seem to be more chuggers than ever before. It is that peculiar guilt and fear we feel at walking on by that is utilised by chuggers. Unless you spend your spare time thinking up hilarious and witty retorts to use on chuggers such as ‘Chug off’ and ‘Curb your enthusiasm’, or you can sprint like Jessica Ennis, you might not be able to avoid it. But isn’t it a little odd that we feel this way? We know that chuggers are often skint and desperate students rather than people with a profound calling towards the tertiary sector. Heck, many of us have friends who have chugged for a living. One of mine attested to how grim it is: ‘Essentially you don’t do the job unless you’re really broke/desperate for work and you live under constant fear of being fired. People would turn up for work, do half an hour and be sent home. It was brutal. The senior fundraiser managers are on huge salaries.’ So while it’s wrong to assume that everyone who chugs for money wouldn’t give their ‘free’ time for charity, the training given to paid chuggers doesn’t exactly promote altruism. My friend put it more succinctly: ‘You had to be a wanker to get by’. We’ve lost the plot if charity, a tool for socio-economic wellbeing, is contracted out to companies who use financial uncertainty and aggressive tactics to cow their young staff. But the public anger tells us there’s nothing at all wrong with our cultural sense of fair play. We can use our very British embarrassment at the current situation to build a better future for fundraising. We can give our regular support, financial or otherwise, directly to charities. There is a world of volunteer schemes, fundraising events and community projects out there. We can take charity back from parasitic managers on bloated charities. Let’s chug off and do it. First Published in the Morning Star on 18/10/2012. With its pikes, helmets and cavalry, Ian Parks's Orgreave steeps its reader in the motifs of a bygone feudal clash. The word "strike" itself works as a kind of volta, turning our heads from ancient battles to recent realities - the Battle of Orgreave in 1984 - when police attempted the violent suppression of industrial action by South Yorkshire miners. Shields turn from the mirrored steel of medieval knights to the translucent perspex of the police, illuminating a murky chapter of recent history. That Parks should carry us with a single flourish from feudal Britain to 20th-century class struggle comes as no surprise. As a Mexborough-born miner's son he was active on the picket lines of the 1980s and many of the things he witnessed inform the poetry in The Exile's House, a title which itself speaks of political dissent. The collection is peppered with allusions to Yorkshire's industrial past, from the abandoned pithead of The Wheel to the working men's clubs where Parks's father sang Sinatra in Standards. Parks is particularly good at navigating a path between nostalgia and defiance. The Wheel performs another poetic rotation when it snaps from past tense reflections to future menace: "We'll drag it from the valley floor,/aim it at the cities of the south,/set the wheel in motion, watch it roll." This vigour and conviction translates so well into his poetry, which goes some way to explaining his continued association with the Morning Star. When Orgreave was first published in the paper's Well Versed column last year it attracted a Poetry Kit award. Parks's poetic attachment to the abandoned and the dispossessed resonates strongly with our present struggles. Think of a second-hand fair and what comes into your mind? A church hall full of stoney-faced stallholders with tables of fusty goods? Chipped china plates, ancient bottles of bath oil and fraying cardigans? You might not expect such events to survive in the age of Ebay, Amazon Marketplace and Gumtree, but the book fair, at least, is both surviving and thriving. Long-established fairs, such as the London Anarchist Book Fair, which has been running since 1983, are packing in stalls and visitors in greater numbers than ever before. And as the old ones grow, new special interest book fairs are springing up. Last weekend saw the launch of a new comic book fair in East London's Shoreditch, organised as part of the East London Comics and Art Festival. 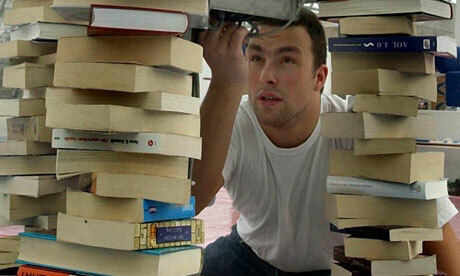 September will see the Free Verse Poetry Book Fair return to London after a successful trial run in 2011. Their first fair contained 23 stalls hosting poetry publishers large and small. This year over 30 publishers are involved, and a programme of readings, events and free publications is being planned for the day, with the aid of Arts Council funding. And it isn't just London that's gone book fair-crazy. The York Book Fair(established 1974) has grown from its 20-stall origins in a pub to packing out York Racecourse with 100,000 rare and antiquarian books, while Sheffield will play host later this month to the Sheffield Anarchist Book Fair, an affiliate of the long-established London fair. Just what is it that's making these fairs so successful, at a time when conventional second-hand bookshops are closing down? Part of the appeal is that book fairs offer up books as tactile objects for leisurely perusal at a time when readers are increasingly doing their reading on e-readers and online. Potential purchasers can feel the heft, the quality of the paper - and in the case of second-hand books, look for intriguing dedications in the back. What's more, they can do this in the presence of knowledgeable publishers and booksellers - which is why books and pamphlets with beautiful illustrations or high production values are often to be found at book fairs. Of course, this still doesn't explain why fairs should succeed where second-hand bookshops struggle - but perhaps the answer to lies in the sociability of browsing. A book fair is not just a static location - it is an event. More often than not it includes guest speakers, workshops and poetry readings. Visitors can mingle, meet friends and form acquaintances with others who have similar literary or political interests. It is a book-selling formula which is proving so popular that Charles Boyle (organiser of the Free Verse Poetry Book Fair) is considering purchasing a van and taking a travelling book fair with a quirky selection of books all around the country - in a bookbuyers' answer to the endangered travelling library. Have you made any great buys at book fairs, or visited any you would recommend (or otherwise)? Let us know. Remember the international scandal Fay Weldon caused when she did a deal with the Italian jeweller Bulgari to write diamonds into a novel, The Bulgari Connection, in exchange for a healthy cheque? Not even a pointed east London eyebrow was raised by the most recent engagement between literature and luxury goods, which came to fruition at a London poetry event this week. The event was to launch an anthology called Penning Perfumes, which has brought poets and perfumers together to inspire each other's work. Poets wrote in response to mystery fragrances (with their composition revealed on the night), while perfumers created new scents based on poems written for the purpose. In a basement bar, a small, well-dressed crowd gathered to smell strips of card imbued with fragrance. Their host, the camply stage-named Odette Toilette, opined about the history and qualities of the perfumes. The venue was The Book Club, near London's Old Street station. The event, a monthly occasion called Scratch + Sniff, which bills itself as "an intoxicating blend of literary soirée meets perfume sampling meets social club". Just a regular pub evening then. This Scratch + Sniff event was somewhat different, though, as it doubled as a launch party. Between Odette's olfactory introductions, poets took to the stage to read. Audience members wafted the appropriate scent strips beneath their discerning noses as Charlotte Newman, Tim Wells, Amy Key and others stepped up to the mic in turn to describe their individually assigned fragrance in verse. The experience was quite overwhelming. Smells swirling around the room were simultaneously characterised within language – soap and parma violets morphed into an urban pixie, orange blossom notes became fruity pillow-talk, and liquorice coloured the sky a deep maroon. Poetry is sometimes accused (even by those within it) of obscurity and a lack of engagement with worldly realities. Events such as this one could be similarly criticised for wafting on a perfumed cloud a few inches above normal life. But this isn't how it appeared to strike those in the room. Experiencing scents and words at the same time led to a level of rapt concentration in the audience that I've rarely seen at other events. Perhaps this is because the Penning Perfumes project reminds us that smell is a democratic sense: everyone can have an imaginative response to scent. It can be highly cerebral, but it does not have to be. It goes all the way from an expensive bottle of perfume to the free-for-all of everyday odours. For the perfumers present at the launch, this is already a truism. One explained his satisfaction at finding that his partnered poet characterised the scent just as he himself had imagined it. After hearing Tiffany Anne Tondut's poem, The Rabbit is Dancing in the Garden – in which French and English lovers exchange sweet riens – Angela Flanders, the creator of the scent Ambre Noir, heartily agreed that "The best way to learn French is on the pillow". While the olfactory sense is sometimes overlooked in day-to-day life, it has always provided inspiration for poets. The Penning Perfumes anthology opens with the 2005 poem, My Mother's Perfume, by Pascale Petit. 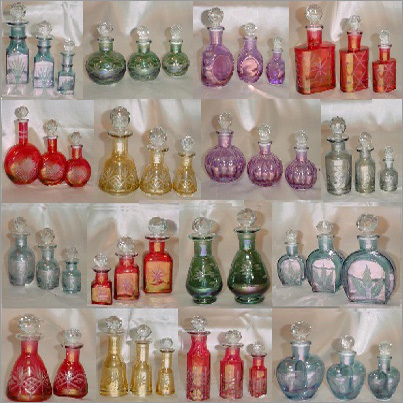 Emily Dickinson's poems are so loaded with fragrance that she has provided the scent industry with a whole perfumery of names for their products. le lapin dans le jardin. The rabbit is dancing in the garden?" No, the rabbit is IN the garden. Review: Tippoo Sultan’s Incredible White Man Eating Tiger Toy Machine!!! by Daljit Nagra (Published by Faber, 2011). Review and Interview by Faye Lipson. Daljit Nagra requires scant introduction. His rapid ascendancy to the Forward Prize in 2007, and international acclaim which followed, began just 4 years previously with the release of his first pamphlet- itself a winner of the prestigious Poetry Business competition. The collection which was to follow, Look We Have Coming To Dover! , garnered attention for its exuberance and linguistic playfulness in addressing the theme of British immigrant identity. This, (and the tendency to give his collections quite eccentric names), are characteristics which have persisted in his new collection, Tippoo Sultan’s Incredible White Man Eating Tiger Toy Machine!!! . The book picks up where Dover left off in examining the postcolonial themes of ‘Britishness’ and the effect of the empire, and subsequent partition, on Anglo-Indian identity. Nagra often explores these ideas through the creation of remarkably rich and compelling ideolects for his poetic characters, which combine inventive Sikhisms like ‘sweet as ladoos’ with the earthiness of a Yorkshire accent. In ‘Raju t’Wonder Dog!’, one stanza alone manages to marry Morrisons and reincarnation, Hindu gods and shoplifting with a seamlessness which can only be attributed to his capacious linguistic imagination. In ‘The Ascent of a Victorian Woman’, we are given the reverse of the colonial coin, as we follow the Indian progress of a haughty colonist drawn along by 2 bullocks. The image would provide ample humour for the reader, if not tainted by her contempt for the ‘shrivelled’ natives. Her description of the Hindu culture, ‘once the cradle of civilisation’ as ‘fallen into parody’ displays Nagra’s wit in parodying the arrogance of Victorian culture, itself once the supposed cradle of civilisation. Cultures, this collection reminds us, are as mortal as those who live within them, and equally complex, contradictory and heterogeneous. It brings us to wondering what generations of future poets will make, in hindsight, of our current times and mores. Fatherhood is one of the more surprising, intimate turns this collection takes in its exploration of cultural identity. Considering the dual ethnic heritage of his own children in ‘Octoroon’, he imagines that at bath time, the bubbles themselves ‘gasp’ at the cocoa skin of his blonde, blue-eyed baby, in a conceit born out of the Imperialist ‘White Man’s Burden’ adverts for Pears soap. It is one of many powerful and uneasy images arising from a grappling with unresolved issues of ethnic identity which still haunt a supposedly cosmopolitan Britain. Much of Daljit Nagra’s strength lies in his ability to combine the mundane with the extraordinary in witty and absorbing insights into multicultural Britain. A picture emerges of a Britain which is simultaneously cosmopolitan and yet not quite at ease with the fact. British imperialism is presented as a kind of cultural Ozymandias: a faded yet grotesque reminder of former audacity and tyranny. It is a testament to Nagra’s skill as a poet that these ideas are accessible without an obtrusive or soap-boxy style of narration. His packed, effusive language cuts a swathe through the more sedate and deadpan iambs which populate British poetry right now. Tippoo Sultan is a remarkable collection, which throws down the poetic gauntlet in ways which have the power to provoke, and to change the way things are done. When writing Dover you were less established as a poet. How has its success change the way you approached writing in general, and specifically Tippoo Sultan? I’ve continued trying to write in the ideal and continued to imagine that possibly no one would be interested in my poetry. This probably comes through with the verbally aggressive poems or the ones that seem a bit too compact and that probably won’t have a mass audience appeal. Essentially, I’ve continued pursuing the projects I had in mind about forms, rhetoric and content that were started in Dover. You've said that you travelled India in order to conduct research for your poetry. Can you tell me about that? Did that influence your latest collection? I used a chunk of my arts council grant to visit Calcutta and Darjeeling. The first was the empire’s original seat of power and the latter was one of the hill stations they’d go to so they could cool off. Several poems are influenced by this journey. Pukka Verse, The Victorian woman poem – I came across Mazuchelli’s book in Darjeeling, and I started my Kipling rewrite poem there too. I see the empire as my historical starting point on earth – if it wasn’t for the empire my family wouldn’t have moved here and I wouldn’t have become a whitey! Quite a lot of your new collection displays so-called ‘prose’ skills, such as creating compelling characters with their own narratives and idiolects. Are prose techniques an influence on your poetry? Would you ever turn your hand to prose? Once I had the idea of Tippoo Sultan’s toy as an idea for a title for the 2nd book, which was a few years ago, I decide I wanted to pounce on things as the tiger does on the soldier. One way to pounce was to seek out English sources and re-do them hence the takes on Victorian writers. The narratives came from a stylistic impulse. I don’t have the slightest desire to write plays or prose as I’m still keen to experiment with language in poetry. It’s the play with language that interests me in writing and I can play around in many styles by writing many poems for a collection as opposed to being bound up with one novel over time. Tippoo Sultan as a collection seems to centre on the shock of alienating and displacing cultural norms. London becomes the scene of a Bollywood love story, and a character quips about ladoos in a Yorkshire accent. Is this a theme you consciously set out to pursue with the collection? Is that shock value lacking in the poetry world? I’m never aware that any of my poems may ‘shock’ but that that is an effect for the reader. If the poems I write surprise me in a pleasing way I continue developing them. I’m never sure where a poem will end up once I have started it. In contemporary poetry, what I look for is play with language and imagination exploring itself; if I find this I like the poem and then hopefully the poet. I think we need more play in contemporary poetry. You have a reputation for being highly innovative, especially with your use of language and dialect. What, in your opinion, still needs shaking up, and what can we expect next from you? I want to continue experimenting with language and forms to see if I can still write poems that genuinely excite me. I want to sense this in other poets: that they have enjoyed writing the poem. Often I feel the poet is writing as a ‘poet’ with a serious head on to communicate an idea. If this latter is the intention of the poet then perhaps they should write an essay. I want to sense a poet having gone on a journey in their work and having enjoyed ending up somewhere they didn’t necessarily think they’d end up.